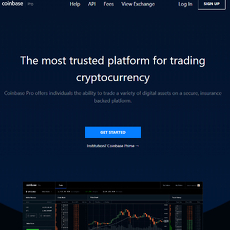 13+ Best Altcoin Exchange - Cryptolinks - The World's Best Cryptocurrency Sites List! There are 2 major different groups when comparing coins used in cryptocurrencies, it is either Bitcoin or an Altcoin. Altcoins were developed following Bitcoin standards as a result of its dominance in the financial system. Altcoins are built on the same blockchain technology with Bitcoin but are different in operation, structure and security. 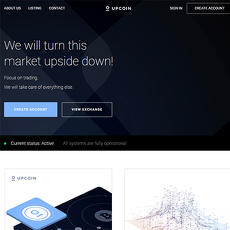 There are several other features that also make one Altcoin different from the other but generally, we are more interested in what makes it different from Bitcoin. Your favorite type of coins excluding Bitcoin is an Altcoin and these include; Litecoin, Zcash, Ripple, Bitcoin Cash, Ethereum, Stellar, NEM, Cardano, NEO, IOTA, Dash, Monero, Tron. These are the popular types of Altcoin in the market and they have their respective market value and exchange rates with Bitcoin. If you have any of these Altcoins in your digital wallet, it will interest you to know that you are open to sales i.e. 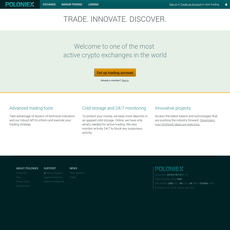 you can trade, buy or sell and even invest. However, in order to perform any of these activities, you most definitely need an Altcoin exchange platform. 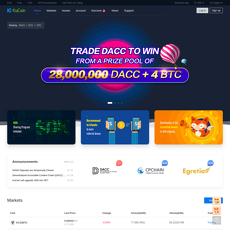 Just like a cryptocurrency exchange platform, Altcoin exchange sites are also within them but what makes them different are the supported coins on the site. 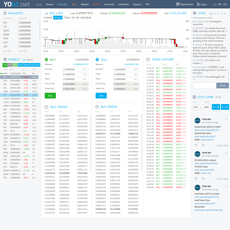 Cryptolinks.com has tested and reviewed the top Altcoin exchange platforms out of a many of them and have brought you only the best. 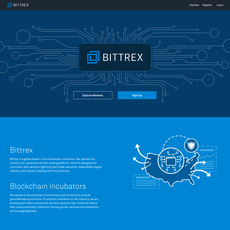 You have sites like Binance, Bittrex, Poloneix, HitBTC, YObit, UPcoin and few others. If you probably need a reason why you should trust this information, it’s because the best was only brought to you having considered some factors. All these 5 factors will be explained in this article and how they all aided in the selection process from a majority to bring the best. One of the most important things people consider when using an exchange platform is the trading fees involved. 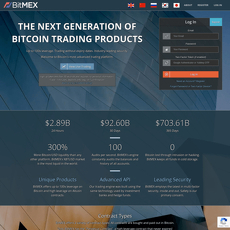 There are mainly 2 forms of trading on exchange platforms, they are; Margin trading and Fiat currency trading. When trading, it is very important to know that there are fees attached for the completion of your transaction. 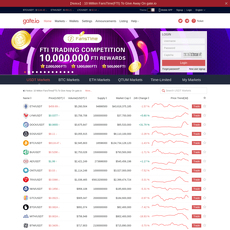 However, the top altcoin exchange sites in this category have been reviewed and seen to have low or zero trading fees attached to them. The lesser the trading fees, the better it is for many people to use and value the platform. Fees are quite important too but it depends on the kind of transactions you are making. 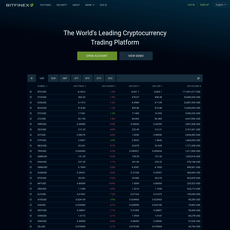 The trading fees make the site in this category better than many other sites out there that are altcoin exchange platforms. The security of funds or digital assets is top priority to major crypto-oriented platforms. A good exchange website must be safe and secure because all activities will involve cryptocurrencies. You don’t want to fall victim of scams, fraud or theft with your Altcoins being vulnerable. Many sites today are only known for the type of services they offer but their security level is not 100 %. All the sites that have been reviewed in this category have been classified based on the security levels. There are 3 types of security levels for crypto websites but the highest is the top-level security system that uses an authentication protocol like 2-Factor Authentication or Multi-Factor Authentication as well as using a Multi-signature wallet. A digital wallet is often responsible for the vulnerability of digital assets to fraud or theft. Ensuring your wallet is safe and secure should be priority; a safer wallet will prevent your account getting hacked when using an altcoin exchange site. This may be quite inconsequential but is very important in classifying sites into various groups. 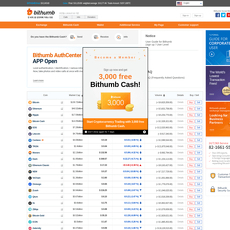 There some crypto sites which are language or location-selective i.e. because they originated from a particular country like Korea, they have to be in Korean without any means of translation. Language barrier is a problem and if you find a site that could translate back to a local language or English, it would be very useful. Sometimes, these sites could be translated but the process of translation could be tiring and difficult. 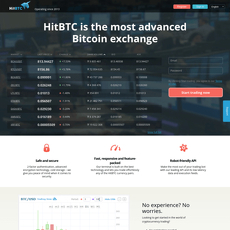 All sites in top Altcoin exchange have been reviewed and the ease with translating the language has been identified. Do you know most people get attracted to a site based on their customer service? If you find a site that helps you solve issues or fix problems when you have one through the help of a customer service representative, then you should be lucky that worked out for you. Many sites only tell you they offer customer service support and only to find them at a poor quality. If there’s any of these top Altcoin exchanges with a poor-quality customer service, then they don’t deserve to be in this category. Their customer services are topnotch and they make sure all complaints and issues are solved within the best time possible. Even if you are having difficulty using the site, be sure they are always ready to get you fixed either through email, phone contact or live chat. Most importantly, the different kinds of features they possess is very important. As different as they may be and as similar as they may be in services, one or two things make them stand out. The site with the best features is ranked the top while others will follow. According to customer reviews, the ease with using a site, the quality of designs it has and the kind of features altogether makes it either user or mobile-friendly. Features are very important and all sites in this category have their own respective, outstanding characteristics. 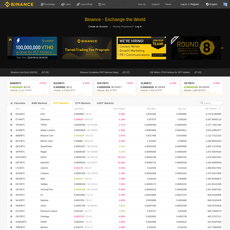 In conclusion, there are about 12 sites in this category and the best of the best out of them all is Binance because of the kind of features it possesses and consideration to the factors that have been explained above. 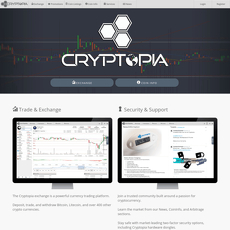 Cryptolinks.com only brings you the best of all Altcoin exchange sites for future transactions.